The Joker origin movie might still be in the early stages of development, but one Death Note star has already volunteered to play the role. Lakeith Stanfield, who played L in Netflix's live-action remake of the popular anime series, recently took to Twitter to express his interest in the role. His request to play the part is rather unofficial, simply telling one of the film's producers, Martin Scorsese, that he'd like to play the role. While the live-action Death Note has not been met with the best response, a large number of fans have commended Stanfield for his performance in the film. The actor's past credits include critic darlings Get Out, Atlanta, and Straight Outta Compton, making it certainly possible that he could be considered by Scorsese and company. The Joker origin film - which is set to be separate from Warner Bros. current DC Extended Universe, has largely been a mystery since it was announced earlier this week. The film will reportedly be set in the 80s and have a dark, gritty tone, similar to some of Scorsese's past films. The film will also cast a new, younger actor to play the iconic role, making 26-year-old Stanfield a pretty good candidate. If Stanfield doesn't get the part, we have a few other actors in mind. What if you had the power to decide who lives and who dies? We suggest you obey the rules. 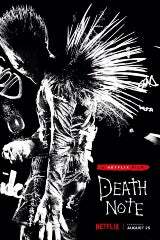 Based on the famous Japanese manga written by Tsugumi Ohba and Takeshi Obata, Death Note follows a high school student who comes across a supernatural notebook, realizing it holds within it a great power; if the owner inscribes someone's name into it while picturing their face, he or she will die. Intoxicated with his new godlike abilities, the young man begins to kill those he deems unworthy of life. Death Note will be available to stream on Netflix beginning August 25, 2017.